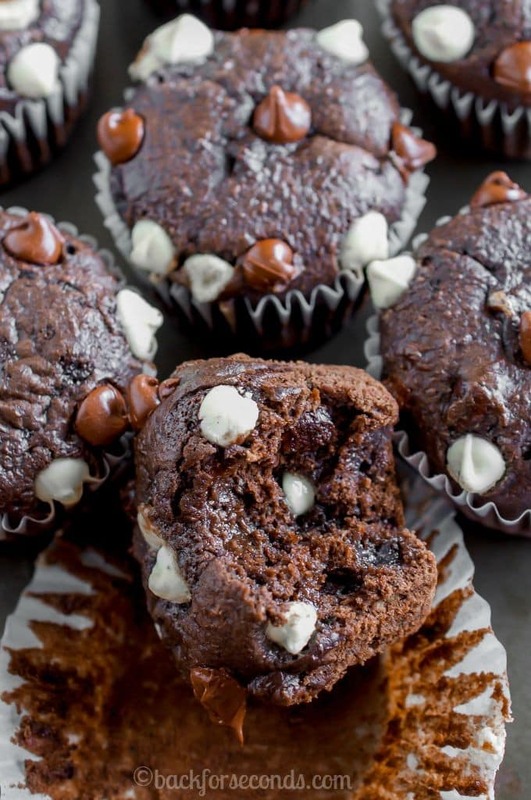 Triple Chocolate Brownie Zucchini Muffins are moist, fudgy muffins, made with three kinds of chocolate, that taste like brownies! A great use for zucchini! Still have zucchini from the garden? 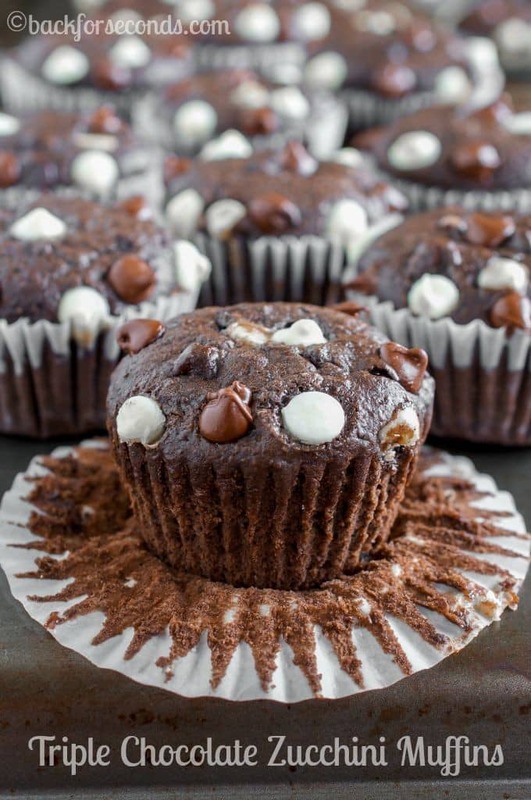 If not, make a run to the farmer’s market, because these muffins are a must make! They taste like a cross between a brownie and a muffin, and because they’re made with a vegetable, and because I’m calling them muffins, you can eat them for breakfast! 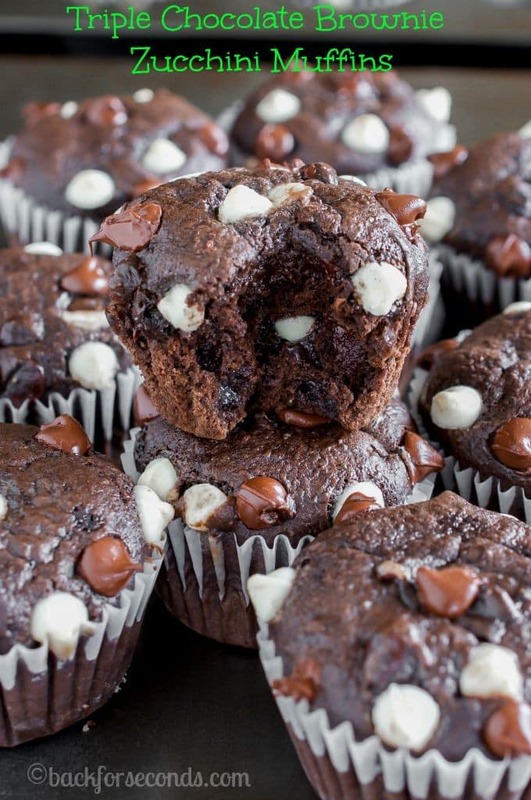 My kids loved these so much they wanted them for every meal…and dessert. We stuck to one muffin a day though – I do try to feed them some foods that don’t contain chocolate. 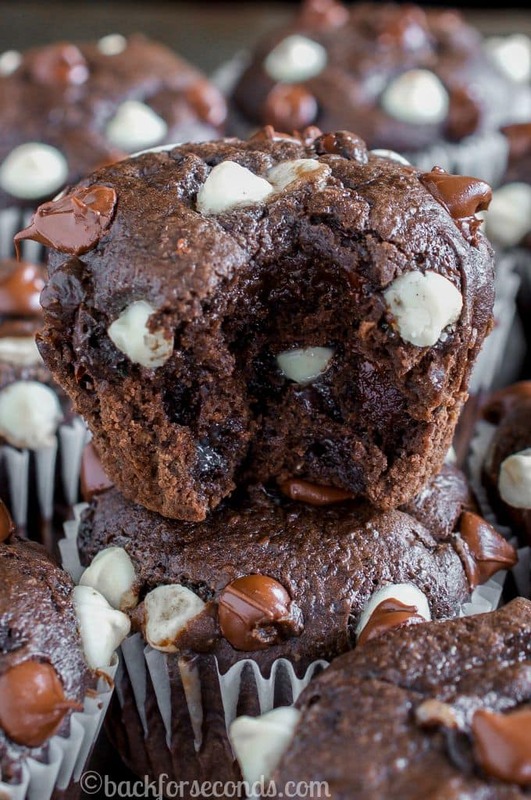 It’s up to you what time of day you chose to eat these brownie muffins, but I do hope you make them soon! Pull out those muffin pans, (I like these) and some fun liners (like these) and enjoy! Hi there! I am SO making these, but I don’t see at which step the zucchini gets added. Also, do you need to squeeze the moisture out?